The England and Red Devils captain insists he is still comfortable at the top level. Wayne Rooney is already in his 14th season of Premier League football. MAN UNITED STAR Wayne Rooney is confident he still has many years ahead of him despite preparing to celebrate his 30th birthday on Saturday. The United and England captain is already in his 14th season of Premier League football, having made his Everton first-team debut as a 16-year-old back in 2002. Rooney, though, is hoping his good fortune with injuries and advances in sport science mean he is likely to remain at the highest level for some time to come. “I physically feel good and obviously it is a big birthday in any person’s life, your 30th birthday,” said the forward. “But in terms of me and football I … feel I am still young enough and that I have a lot of years ahead of me. “I have had no major muscle injuries and I think us, as players now, we have all the support of the sports science and all the guys to help us in terms of preparation, training and games. “So I think it is still a fairly young age and hopefully I have got a lot of years to come. I feel fitter and fresher than I ever have done really, so for me it is just a number. “Obviously it is a big number in terms of birthdays, but in terms of me and my football career it is not important. Players in the past have known when the time is right to finish playing and I am certainly nowhere near that stage. 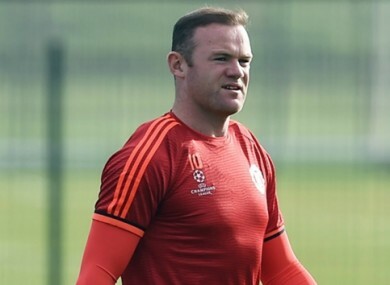 Rooney is in Russia preparing for United’s Champions League match against CSKA Moscow. If he finds the back of the net on Wednesday he will draw level with Old Trafford great second-placed Denis Law on 237 goals in the club’s scoring charts. “Yeah, of course that is important,” he added. Bobby Charlton is United’s all-time leading scorer with 249. Email “Wayne Rooney at 30: I'm far from finished”. Feedback on “Wayne Rooney at 30: I'm far from finished”.